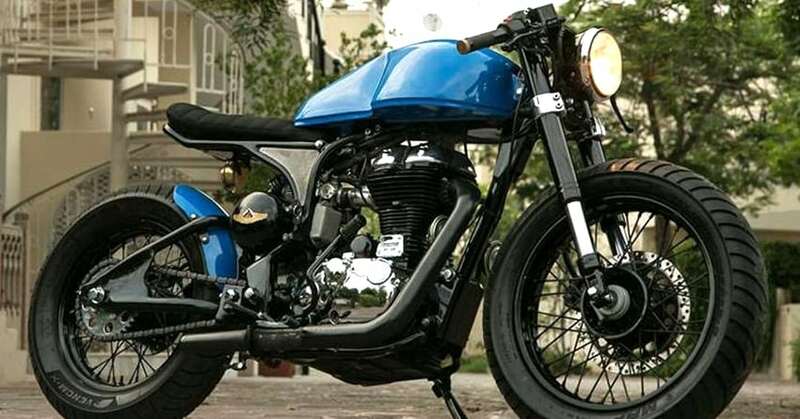 Meet Royal Enfield Bullet 500 Numero Uno Edition: If you imagine RE Bullet 500 as a decent tourer and, praise it for the amount of comfort it offers, some views will change for sure after you have a look at this cafe racer. 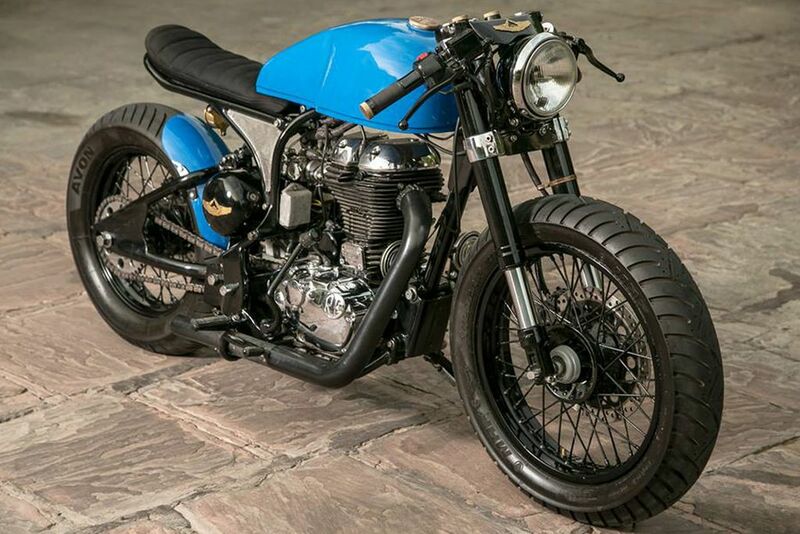 By birth, it was the same bike you imagined but, Rajputana Customs had something else for its remaining life. Numero Uno, the famous jeans brand, had asked them to build a one-off model for brand promotion. 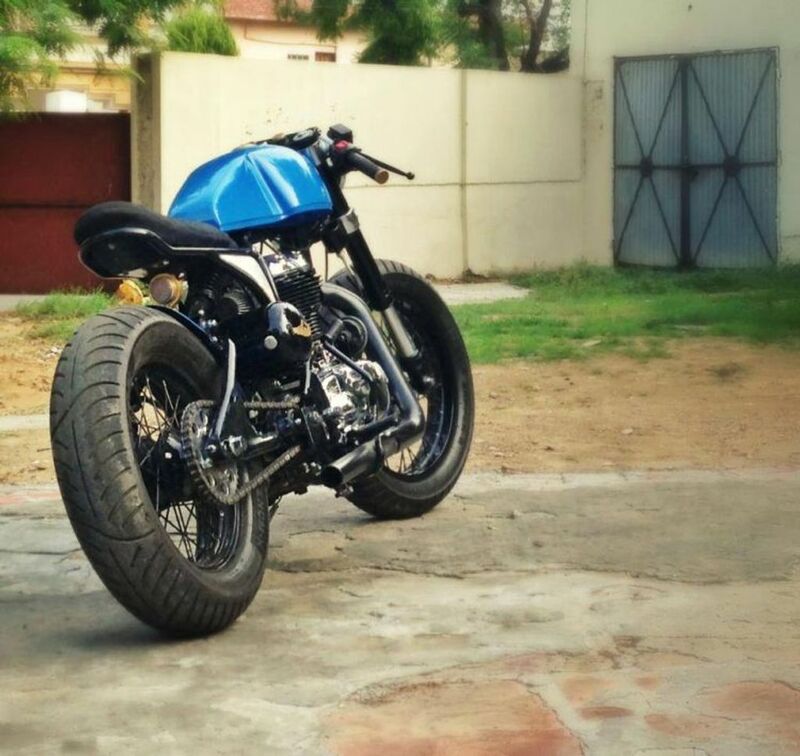 The list of changes made to this bike is longer than what Royal Enfield lists under the feature list of Bullet 500 or any other Bullet series bike. The front fascia now features a non-faired round headlight with chrome outer ring and standard placement. They replaced the conventional forks with thicker USD forks for better handling. 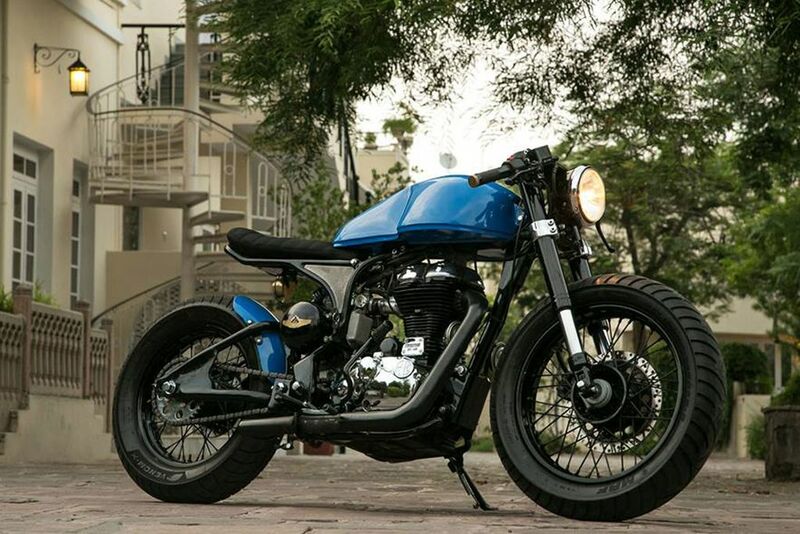 Black shade of the rims compliments the overall profile of this Cafe Racer. Those who are wandering for the front suspension, KTM sourced forks can be seen here in action. The rear end is available with dust protecting, an almost minimal fender that stays closer to the monoshock. The front side doesn’t have a cover at all. Altering the frame helped Rajputana Customs achieve a single flat seat with a ribbed pattern. They are using thicker tires at both ends, the rear being a broader unit with thicker sidewall than the front one. A chopped exhaust has been used for the underbelly feel. A redesigned swing-arm further makes this cafe racer feel premium than the stock version. 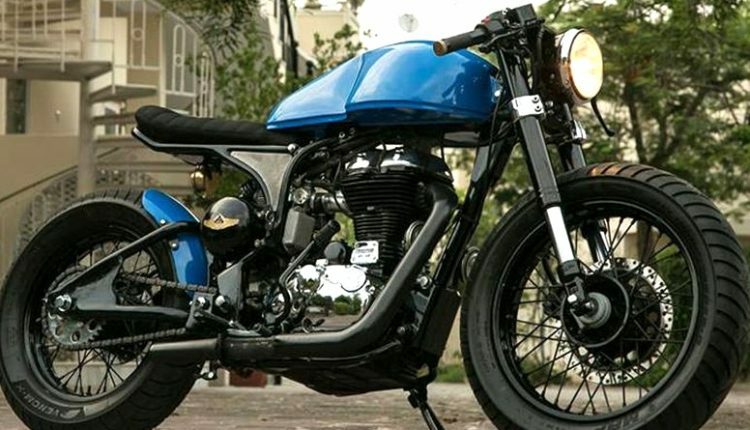 Royal Enfield Bullet 500 is powered by a 499cc, single cylinder engine, producing 27.2 BHP and 41.3 Nm of torque. The engine comes mated to a 5-speed gearbox. All these values remain the same on this modified version. Rajputana Customs took 3 months to complete this modification with a total cost of INR 5 lakh, excluding the price of the donor bike.